A few weeks ago, we announced a new set of components for the FIN dashboard. 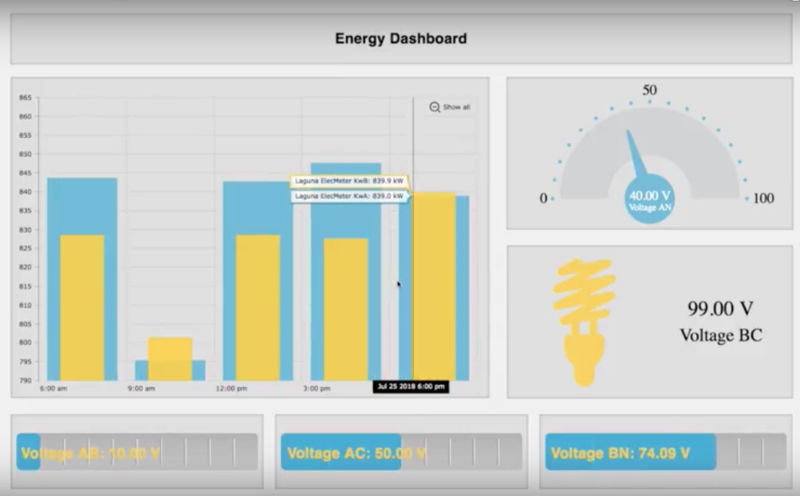 These new components include easy-to-use charts and gauges that each feature their own configuration wizards and allow users to create fully customizable dashboards quicker and easier than ever before. This month, we’re taking a deeper dive into the new package to really show off what they can do. A special variety of Charts that can be accessed and used at anytime on any graphic. Configuration wizards that are unique to each individual chart component and can be accessed through a simple right click of the mouse. The ability to pre-determine how many points will be displayed on the chart. A color selector with an unlimited range of colors to choose from. Each wizard will have unique properties based on the chart you're configuring, but there are also common configurations that can be found on most if not all available charts. For example, theme and chart type. Gauges offer some of the same general features. There a handful of bar gauges, half circle and full circle gauges, and some very simple yet aesthetically pleasing Icon style gauges. The true beauty of the Gauges lies in how simple they are to use. User's can simply drag out any gauge they'd like to use, and then drag and drop their virtual point onto the component to create an instant binding. No configuration required. Each gauge also features its own personalized Configuration Wizard that contains unique properties to the gauge being configured. This makes it easy for a user to customize. As soon as you add the new components pod to your FIN Stack server, both Gauges and Charts will automatically load up and appear in the graphic builder's component library. These components are all made with the intent of simplifying and improving how quickly and easily dashboards are made in FIN Stack while still retaining the ability to customize and tweak the components to fit the end user's needs. Creating dashboards in FIN Stack has never been easier! Check out our in-depth video below.